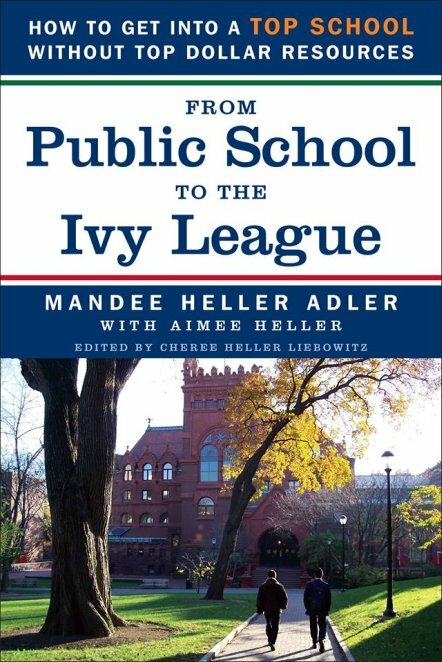 The following excerpt is from the new book by Mandee Heller Adler, From Public School to the Ivy League: How to get into a top school without top dollar resources, which is available at Amazon.com. Ms. Adler is the founder and principal of International College Counselors, a Florida-based firm that provides expert strategies for admission to undergraduate colleges, graduate programs, business schools, law schools, medical schools, dental schools and other postgraduate schools. In recent years, a number of colleges have been adding quirky questions to their applications. These supplemental questions are considered a way to get students to stand out from the crowd. Imagine you have to wear a costume for a year of your life. What would you pick and why? What is your favorite ride at the amusement park? How does this reflect your approach to life? What was your favorite thing about last Tuesday? The Spanish poet Antonio Machado wrote, “Between living and dreaming there is a third thing. Guess it.” Give us your guess. According to Henry David Thoreau, “One is not born into the world to do everything, but to do something.” What is your something? What colleges are looking for is your voice. Use this as an opportunity to demonstrate your “out-of-the-box” thinking. However, don’t go overboard. Admissions officers are looking to see if you’ll be an interesting person to have on campus. Interesting means imaginative, not crazy and not dangerous sounding. For eight years, I have celebrated polyester. I vividly recall coming home from school one day in Buenos Aires, Argentina, to find my house in disarray and my parents packing one suitcase after another. I’ll admit it: I have a thing for gavels—a thing for motions and seconds and the clarity that they bring to meetings. I eagerly reached into my Hello Kitty backpack. Max prances in place as we await our turn into the arena. Drip. Drip. Drip. Tick. Tick. Tick. As I lie in the hospital, waiting to be taken into surgery, I can only think that my IV drip sounds just like a metronome. Metaphor. Don’t compare yourself to a mango, a Ferris wheel, or any other objects. Death. Don’t write about a person or pet’s death unless it truly affected your life and you can use it to exemplify growth—for example, if someone died of cancer and you made it your mission to raise money/awareness, or if a death during high school affected your grades and caused you to stumble, but then you regrouped to overcome. Free verse essays, essays written as raps, limericks, etc. Don’t emphasize form over function. “Meta” essays where you talk about writing an essay, about the process of writing an essay, or about essays themselves. Sorry, but thousands of students have beaten you to these topics and then beaten them to death. These are called “cliché essays” because the reader knows from the get-go just where you are going with it. A number of college admissions departments are formally accepting video college essays. The first step for any student is to view recent videos and see what others have done. This will give you an idea of the range of possibilities. When it comes to actually making your video, it’s important to be original but in a way that is comfortable for you. Do what works for you. Your main goal needs to be communicating your message. Start by identifying the question and any directions. Write a script that is clear on the message and ideas you want to get across. Collect resources and props that you want to use in the video. Record the video until it’s as perfect as possible. Some students record the video themselves using a tripod while speaking directly into the camera; others enlist the services of a friend or family member. Review your video and collect feedback. Edit, edit, edit, and re-record if necessary. Edit and re-record until it’s as perfect as it can be. Make sure it fits the requested length and meets all specs before sending it in. To get a head start on preparing for college admissions, order a copy of From Public School to the Ivy League: How to get into a top school without top dollar resources from Amazon.com. Prepare yourself for the rigors of college with university-level courses in computer science and mathematical logic from IMACS. Like IMACS on Facebook for the latest information about our local classes and online courses.